David Henderson from Sydney, Australia, has incredible competence when eating with chopsticks, native sources have confirmed. 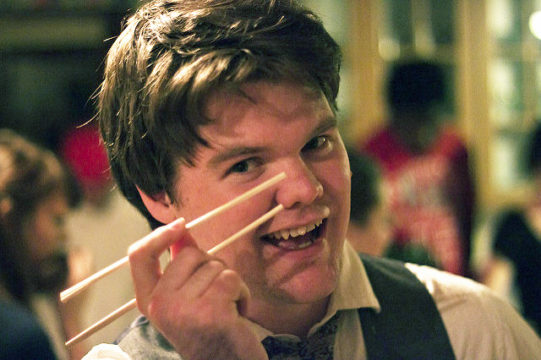 “Jyozu desune!” said one local almost as soon as gaijin Dave picked up the chopsticks. Gaijin Dave accepted the accolades like a true gentlemen and scholar saying he had been a student of the chopstick “for many years now”. “When De—bido has chopsticks in hand he just goes to work like an absolute champ,” said Hiroyuki Sugida. Gaijin Dave went for broke post compliments and chose for his next mouthful a single pea. “I’d be lying if I said there wasn’t any tension in the air as I grabbed for the pea, but I managed to pop it straight into my mouth,” said gaijin Dave. There were calls of “Sasuga De-bido san” heard echoing down the table. Gaijin Dave smiled and nodded as if it might be a bow, but it was actually a nod. Funny. I hope he complimented his friends on their skills with a fork and knife.